It is our Active DREi technology to which we have added a neutral cable of very high quality. 100% analogue. Looks like a cable, is connected as a cable, but it is much more than just a cable. A FORTUNATE DISCOVERY: Combining technology of a bi-metal cable with the effective DREi. Cables with two separate nuclei of silver and copper, polarized and extreme purity, shielded externally, and solid gold plated connectors of extreme high quality. 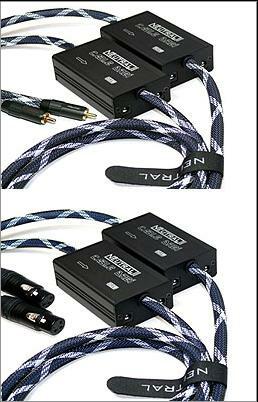 With the combination of these elements we have achieved to develop this "invisible” cable for the audio signal. DREi corrects the cable technical factors and you have absolute neutrality in sound transmission, with extreme accuracy and transparency. 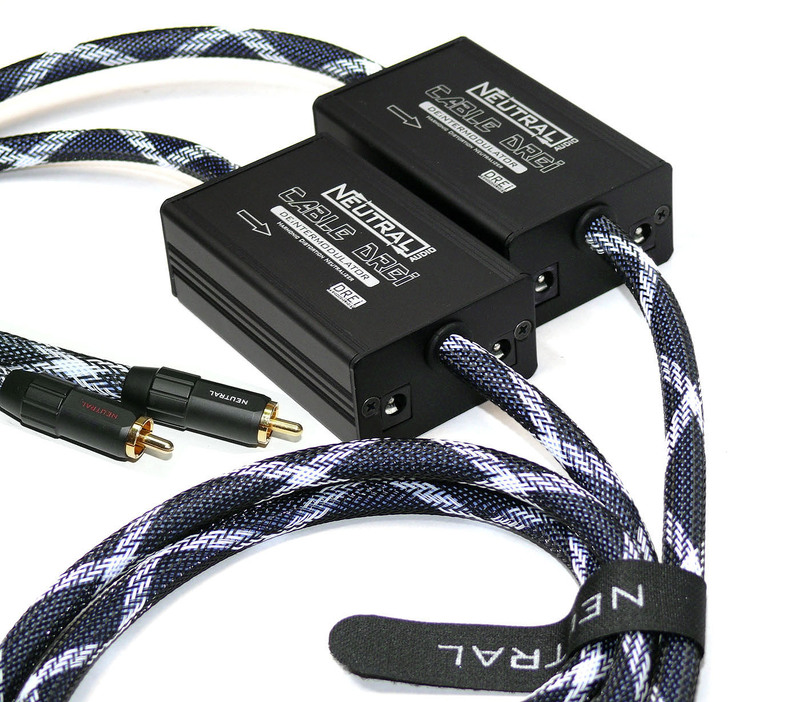 This is a passive cable with active DREi technology, which will increase the performance of the audio system, optimizing the connection between the components and will offer a outstanding musicality, cristal-clear sound with excellent opening and three-dimensionality. A level of detail and a overwhelming silence. The total Synergy of system will be much more equilibrated, the Neutral CABLE DREi´s work in this regard is truly remarkable. The extraordinary control it exerts on the total energy to be amplified allows higher SPL before clipping the audio system and the room. The benefits on the music signal are undeniable. 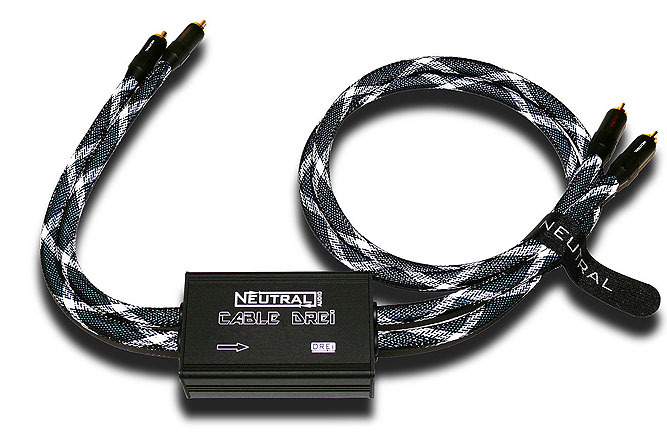 Neutral Audio cables are solidly built, with high quality materials and hand made. Only for the analogue line. · High-quality gold plated connections . · Silver wire surrounded with copper. · Length 110 cm. See other sizes. · It includes a regulated power supply for 110/230 Vac and 12Vdc output power to 10 cables.